Is Your Cell Phone a Ticking Time Bomb? “The International EMF Collaborative released a report to draw attention to studies linking brain tumors and cell phone use and debunking the findings of the (prior) Interphone studies. The report emphasizes dangers of cell phone use by children and teens especially and recommends awareness campaigns. “We think that based on current standards there’s increased risk of developing brain tumors in long term users — people who have used cellphones for more than 10 years — from radiation in cellphones,” says Olga Naidenko, a senior scientist at Environmental Working Group (ewg.org), who worked on the report for about 10 months. 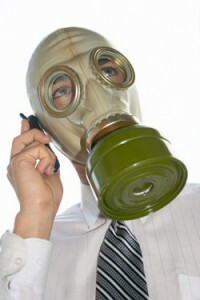 Cell phones emit radiation. Fact. But it is “non-ionizing radiation,” apparently less dangerous than X-rays, a form of ionizing radiation that has been shown to alter DNA. Studies have been murky and contradictory about the damage cell phones may cause. Now, in my opinion, we’re all basically lab rats in the Big Cell Phone Experiment, because cell phones have only been around for 20-30 years or so, which is too early to study exactly how they affect us and if they cause brain cancer. But as my old professor used to say, anything newer than 1,000 years is an experiment, so there you go. Cellphone radiation is transmitted by the antenna and the circuitry inside the phone by sending out electromagnetic waves (radio frequency radiation) to transmit their signal. Other appliances in your home, such as your microwave, emit the same type of radiation, but you’re not holding your microwave next to your brain, and while we’re on the topic, microwaves are a health hazard too. Read about it here (click). When this type of radiation constantly assaults your cells, it may create cellular abnormalities and changes, as well as free radical damage. Your body is responsible for scavenging for these abnormal cells and your antioxidant capabilities (from all the fruits and vegetables you eat) should quench free radicals, but when your immune system is overwhelmed, or if you are constantly stressed and your immune system is not working as it should, these abnormal cells multiply, and that is how cancer begins. The Federal Communications Commission sets the acceptable U.S. radiation standards for cellphones. Great! I feel so much better now, knowing that the FCC has my health in its best interest over corporate profit. Kind of like the FDA approving drugs that haven’t been thoroughly tested for safety, end up killing people, and are later recalled. Anyway folks, the point is, WE DON’T KNOW exactly whether or not cell phones increase cancer. This is a hot debate and me thinks the huge mega-corporate cell phone industry is working its hardest to get studies published regularly to debunk any bad press so that it can continue its flourishing profit-making machine. It wants to gently pat you on the back and assure you its products are safe. Take the precautionary principle to heart here: if we don’t know the effects but suspect that something is dangerous, BEWARE. In this day and age, you’re basically a living in the dark ages if you don’t have a cell phone, and like the internet, many of us wonder how we ever lived without it. Most folks rely on their phones for work, and most teens would implode without texting capability. Unfortunately, it’s teens and children who need to take the most caution: with their still-developing brains, they are at the highest risk. Next, limit use by children and teens. This is much easier said than done, because although cell phones are great for emergency, how do you limit your child’s use? Look into plans that limit the number of minutes, or consider an emergency-only plan (lets the child call 911 or home number only). Fortunately, texting poses less of a risk because the phone is held away from the head. Finally, when your cell phone gets hot, time to hang up! That means it’s working harder = more radiation. Also, do not talk in areas where you only have one bar–the phone is, here again, emitting a stronger signal in order to connect. Carry the cell phone on the body, unless its keypad is positioned towards you so the phone’s electromagnetic fields move away from you rather than through you. Use a speakerphone or a wireless headset to avoid placing the phone on your ear. Also, don’t talk as much. Or use your home phone. Cell phones really weren’t designed for long-term use. We have come to depend on them when we need to share whatever it is at that particular moment before we forget, but think before you talk: can it wait 10 minutes until you get home?